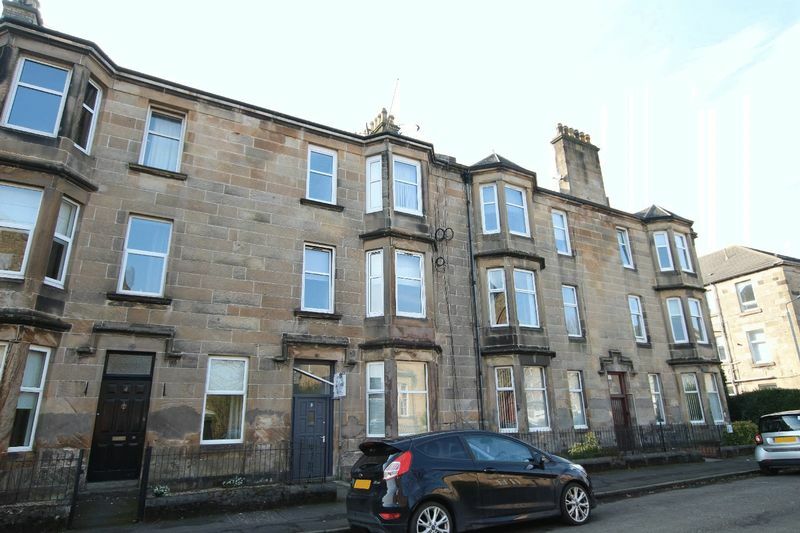 First floor 1 bed and box room flat with well-maintained back court and uninterrupted views of the hills behind Dumbarton. 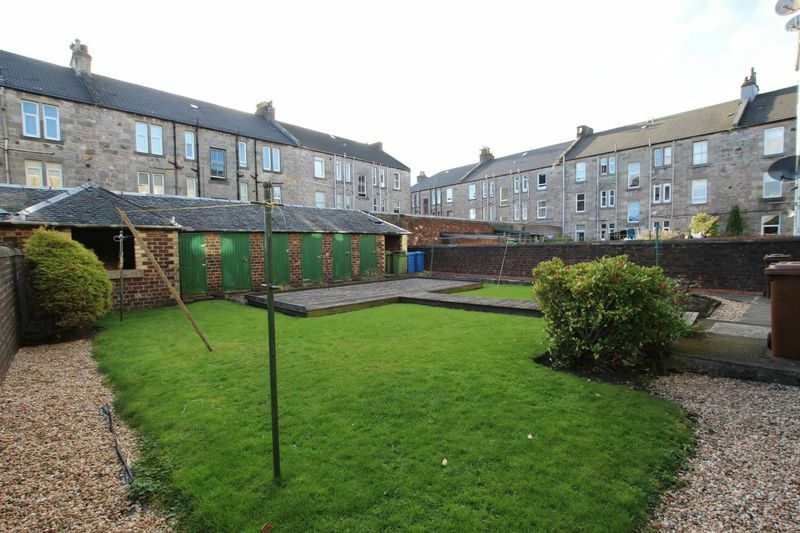 The flat is in a central yet quiet location to local amenities and must be viewed to fully appreciate the size and proportion of the rooms. The agent was advised the roof was replaced around 6 or 7 years ago. The common close is well maintained and has recently been repainted. The flat itself is decorated in neutral finished and accommodation comprises lounge with bay window, feature fireplace and bed recess. 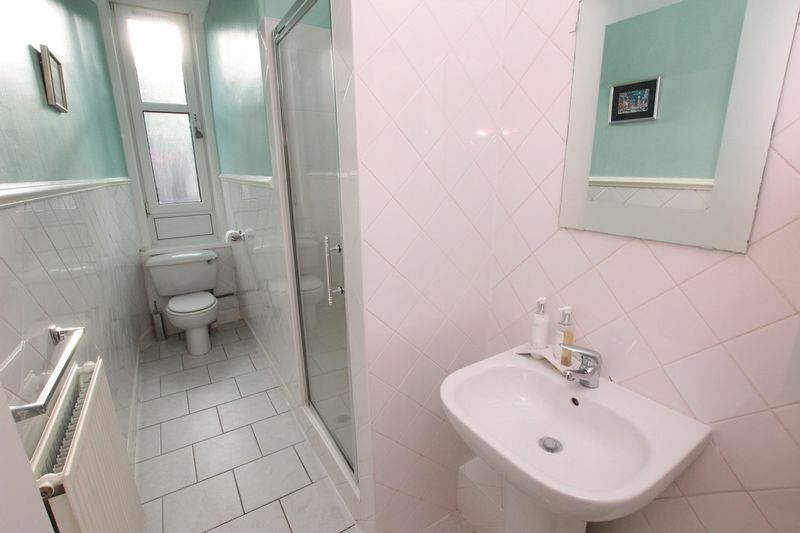 There is a part tiled shower room with shower off the combi boiler, the kitchen is around 2 years old and the owner will be including the free standing fridge freezer, washing machine and tumble dryer in the sale. 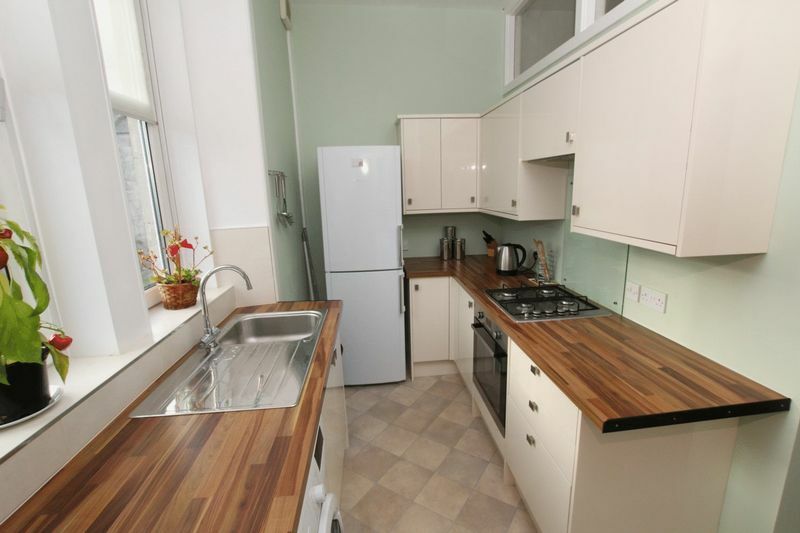 Integrated appliances include a 4 ring gas hob, oven and extractor fan. 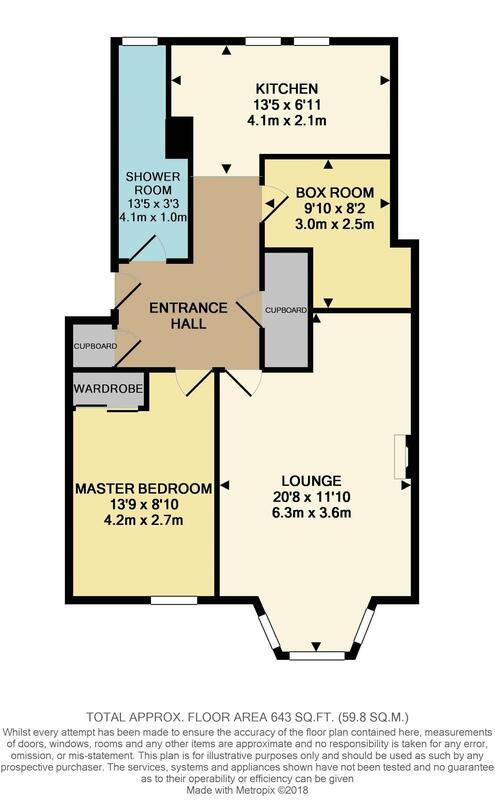 The box room is currently used as a dining room however there is sufficient floor space to accommodate a single bed for visitors as required. 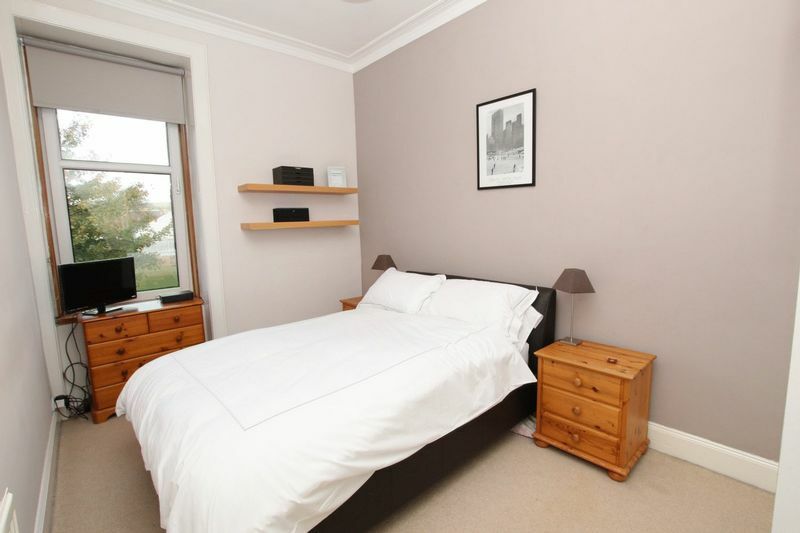 There is a double bedroom with fitted wardrobes, plus 2 cupboards off the hallway. 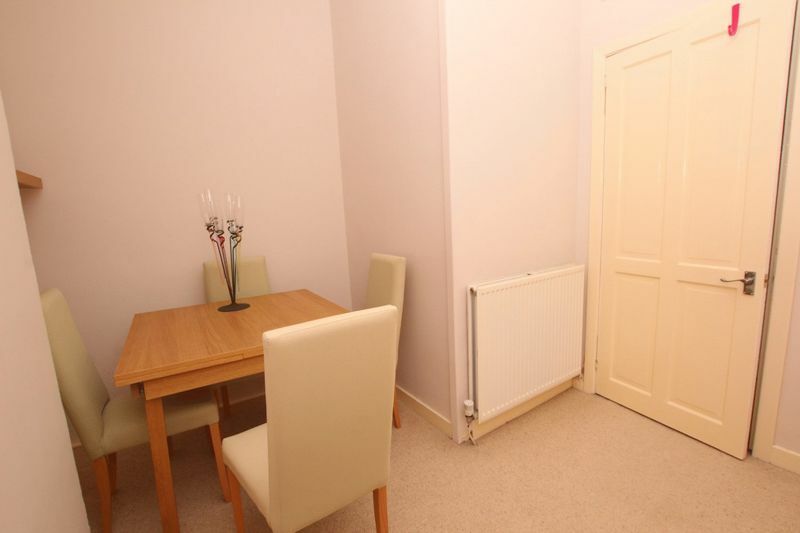 The dining room, bedroom and lounge are carpeted with lino on the kitchen floor, tiles on the bathroom floor and wood effect click flooring in the hallway. 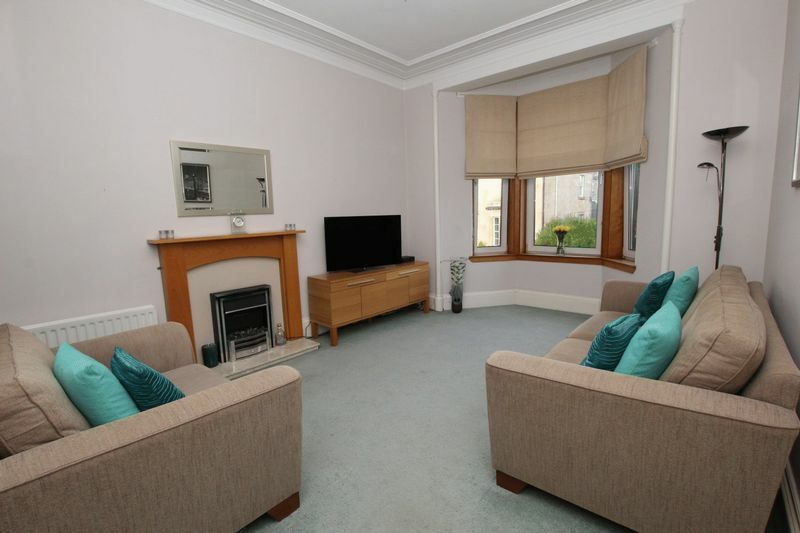 Dumbarton Central Railway Station is minutes from the property. This railway link offers 4 trains per hour into the centre of Glasgow. Connections are also available to Helensburgh and Balloch, Loch Lomond. Other public transport facilities are situated on Bonhill Road and Dumbarton High Street. The major trunk roads, A82 and A814 are close at hand easing commuting to the motorway network and International Airport. 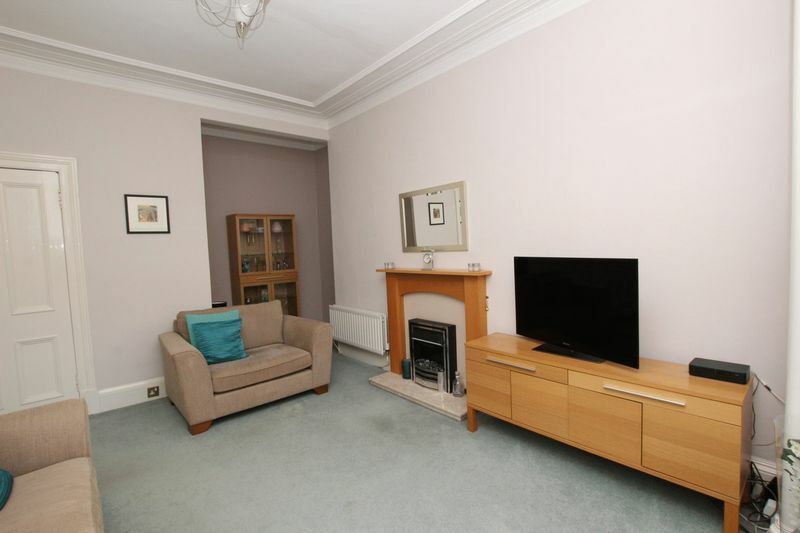 Primary and secondary schools, children’s nurseries, major retail outlets and leisure activities are all nearby.